·	1994 civic parts ,lx blue on grey..
·	This civic is loaded, with power window, power locks, no rust, as it’s from florida. All parts work. I have the paper work too, which shows where it came from. Here is the info on prices for the civic parts; scroll down for bmw info……. ·	These parts fit 92-96 civics. No hatchback callers for trunk lid.. Please. ·	**********************engine and trannie 200.00 5 speed , still works...150,000miles. ·	OEM MATS; http://i222.photobucket.com/albums/d...b/101_2615.jpg 40.00 SET. ·	windshield 75 MINOR SCRATCH……. ·	tires and rims 40 each. ·	Hub caps 25 for all four. ·	corner lights 25 set. ·	doors-70 each. 4 doors avail...mint no rust. Power windows. Mint. ·	there are many more parts. ·	location; toronto. keele st. 401. just south of lawerance off keele st.
·	***********1994 325 I BMW. MINT CONDITION, NO RUST. PARTS CAR. ·	**********************THE WHOLE CAR IS NOT FOR SALE…….OK, 2000.00 FOR THE WHOLE CAR, SO DON’T ASK. 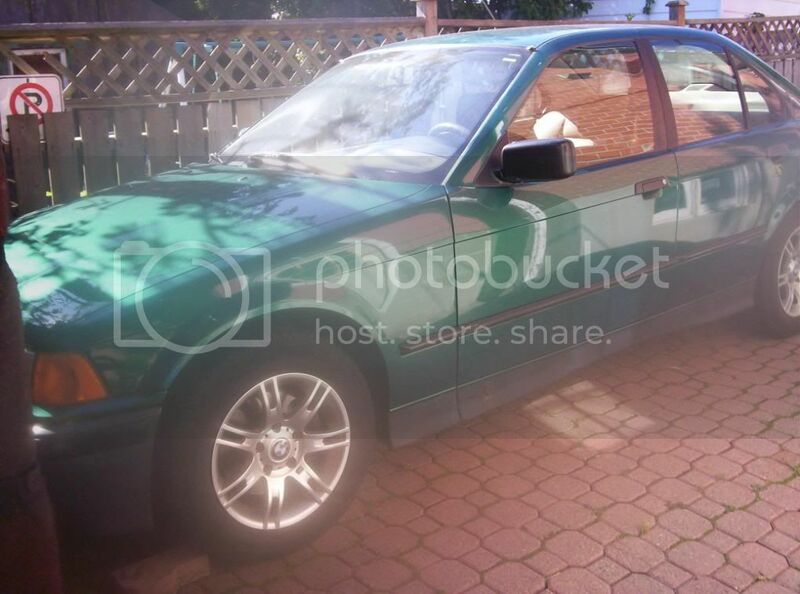 ·	car not for sale, parts only, front end accident car. ·	inquire with e mail or phone me at 4167203437. ·	leather seats. front and back--450 set. tan leather mint......must see. ·	INTERIOR DOOR PANELS, 75 EACH DOOR. ·	tires and rims. 500.00 set mint. ·	SHOCKS AND SPRINGS; 200.00 SET. ·	rear axel 500.00 left and right side. ·	do not pm me, instead e mail freeplayrob@yahoo.ca or call 4167203437. ·	maf, ecu, high pressure power sterring hose, 02 sensor, idle control valve, steering lock, ignition switch, airbox. ·	if you buy a part, there is no returns. ·	i have no way to know that you didn't screw it up. ·	all parts work and can be tested before you buy it. i'm in no rush to sell any thing. take you time. think about it. part are still on the car if you want to see them.